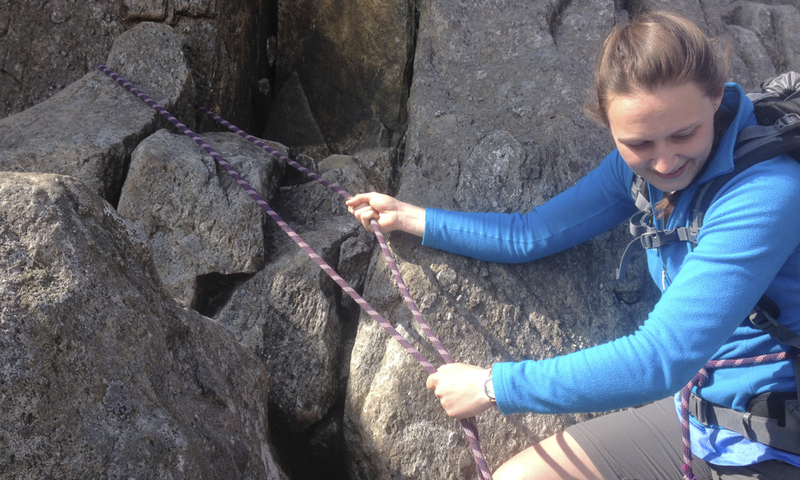 Continuing with this series on steep ground skills this week we are looking at belay set-ups and belaying for emergency rope-work in ascent. The intention is to keep things safe and simple, with the emphasis on avoiding over complicated rope-work, which is often unnecessary and time consuming. As mentioned previously (but well worth repeating), keep in mind that the planned use of the rope is beyond the scope of the mountain leader award. 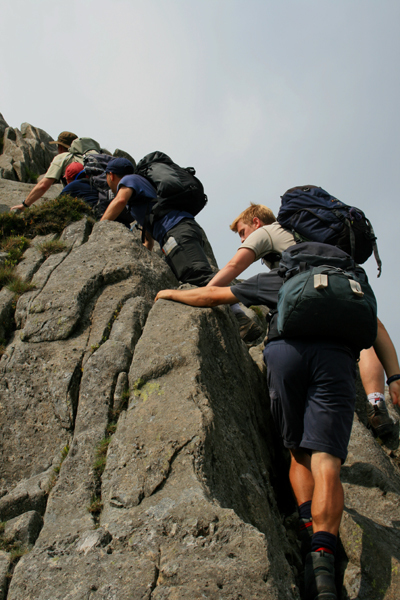 You should be planning your steep ground days with good route planning and selection as your aim; however, you do need to have the rope-work skills in place, in case something goes wrong and you find yourself in the wrong place, in a situation where rope-work could well be your best and safest option. My tip is to put in some extra practice on rope-work skills, so that if all does not go as planned on your mountain days you have good, safe skills in place to sort things out (without adding to the problem). I’ll start with a method that I’ve often seen working efficiently, using two overhand knots on the bight. 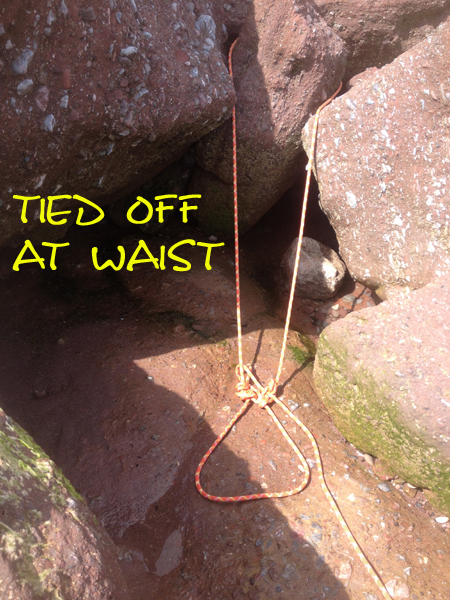 Tie an overhand knot on the bight to create a loop. Loop rope over a solid boulder or spike. 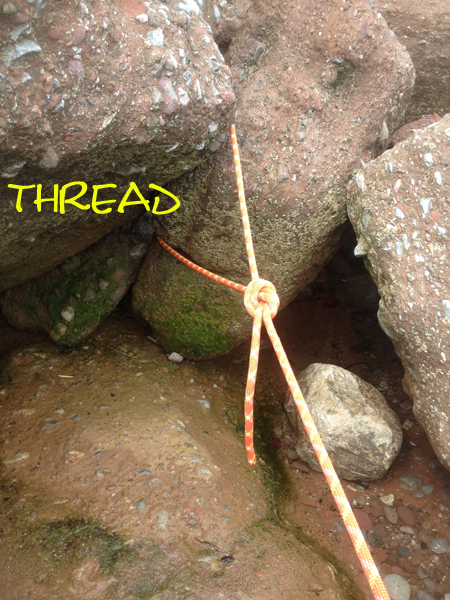 Tie another overhand knot on the bight to create a second loop. Belayer to step into second loop. Adjust for tightness around waist and to belay. Disadvantages It’s sometimes difficult to adjust for tightness. However, with a bit of practice this method is quick and efficient. Attach yourself to rope; an overhand knot works well and is easy to adjust (a figure-of-eight or bowline are also frequently used, but aren’t so easy to adjust). 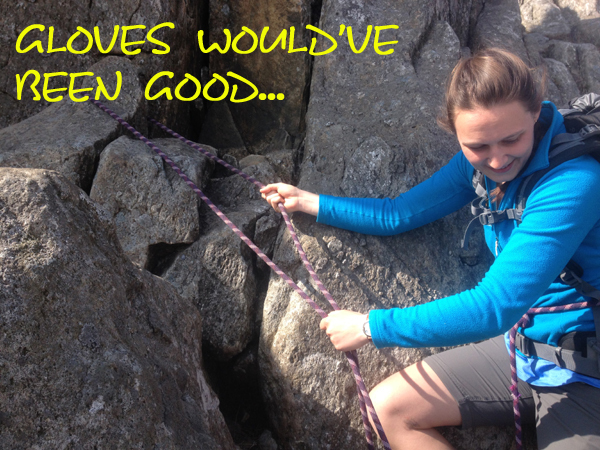 Feed the rope around a good sound anchor and get into belay position. Tie the rope off onto rope around your waist with two half hitches. Disadvantages This method requires more rope; it is, however, probably easier to adjust for tightness until you become more familiar with method 1. A quick and efficient method of attaching the rope to a thread or tree. Wearing gloves is a good way to get a better grip and protect your hands. Keep your arms covered to protect arm wrap on the brake rope. Lock off with correct hand with the control hand on the brake rope. NEVER wrap the live rope (to scrambler) around your arm. 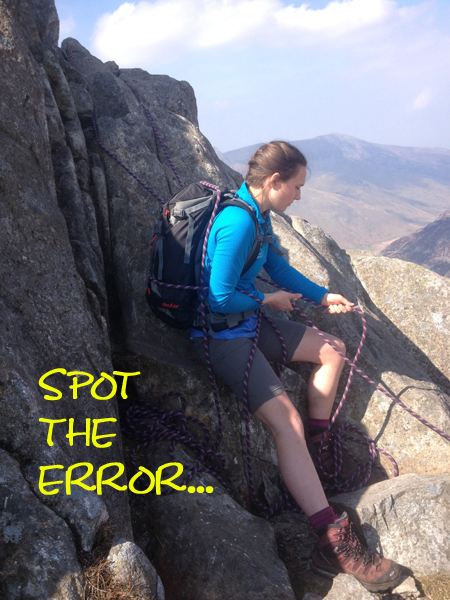 No slack in the rope between belayer and scrambler. Finally, remember that rope-work on a steep ground day is emergency rope-work and is best avoided by using good route finding/selection skills. With this in mind it makes it important for you to get out and practice rope-work skills so that you can deal with the unexpected efficiently. Part 4 will have a look at hazard management and rope work in descent. Cheers for the feedback from previous blogs; it’s always welcome.